A mist is mythic, curvilinear, non-zero. Her thought and study had become disposition. The myth of storytelling lay on a glass wall. we won’t grant an intercollaboration. 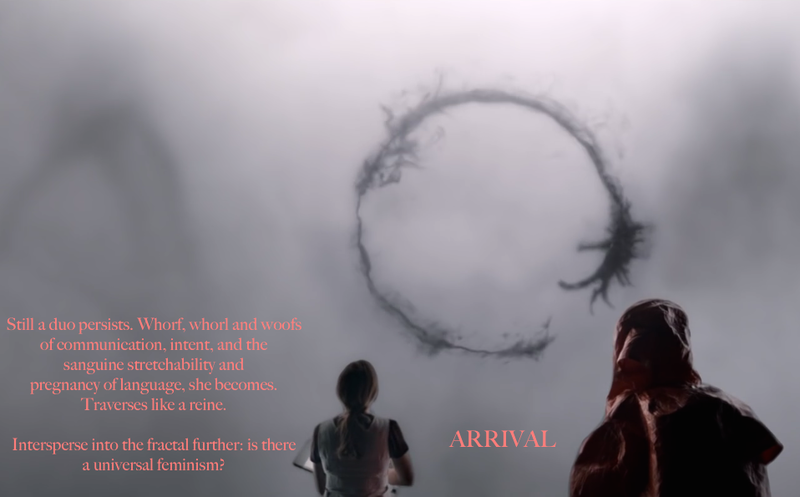 pregnancy of language, she becomes. by glass house not theoretical? that can be named if only temporal were neural. leavened by the personal. And yet, connection.